If you shop through Amazon, there is a simple way to direct some of Amazon's profit from your purchase right back to Encore. Amazon donates 0.5% of the price of eligable AmazonSmile purchases to the charitable organization of your choice. Shop through smile.amazon.com to get started. Type in Encore Creativity for Older Adults as your chosen non-profit and continue to shop. Every penny helps and it really is that simple! Thanks! Encore is now a part of it – New York, New York. 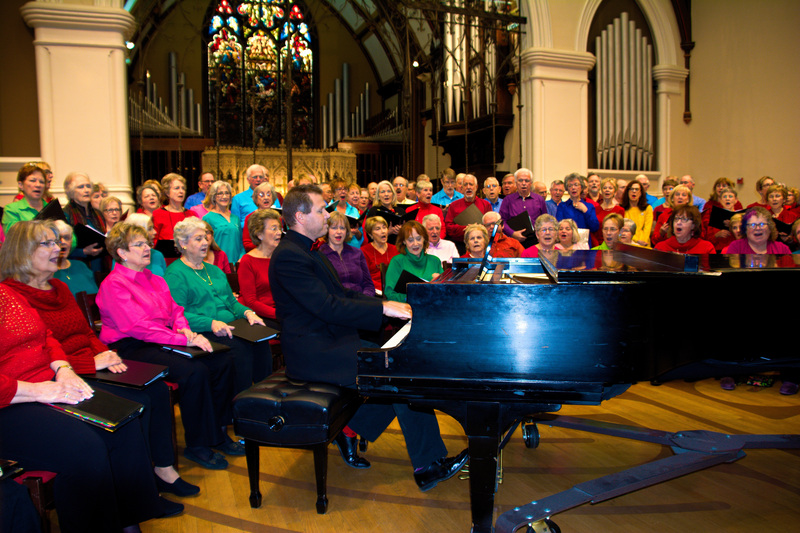 Encore’s first NON-AUDITONED New York choral programs have opened in Manhattan as of this week. The Encore Chorale of NYC - Midtown is at the Fifth Avenue Presbyterian Church, a most prestigious location near Central Park and Rockefeller Center. Encore ROCKS NYC - Lincoln Square, Encore's Rock & Roll Chorus, is located at the New York Society for Ethical Culture, 2 West 64th Street, right off Central Park. Conducting both programs is Justin Jalea, a highly qualified musician and conductor who is excited to be bringing Encore to New York. Justin has founded, and been artistic director of, several vocal ensembles in Canada and the U.S. Read more about Justin. 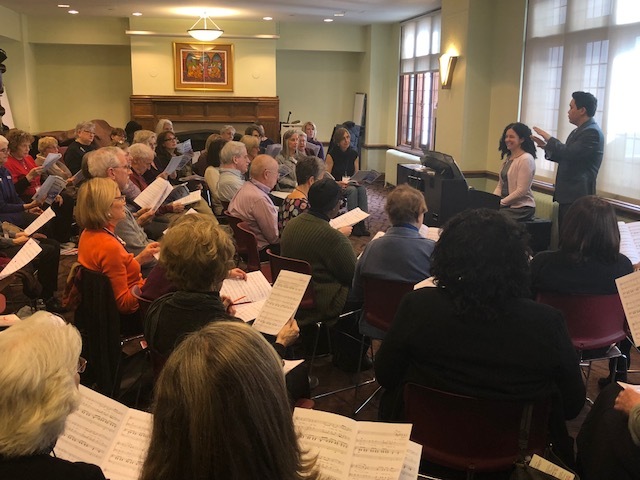 Pictured above is the first rehearsal of Encore Chorale of NYC - Midtown. Registrations for these programs will remain open through second rehearsals next week. As we prepare to create another exciting printed Spring Concert Program, we are working on preparing the list that includes our wonderful donors. The printed Spring Concert Program will list all donors who have made a gift in our current fiscal year including gifts recieved from September 1, 2017 through March 31, 2018. New this year - Encore is able to accept and record pledges in support of Encore. Both gifts and pledges will be acknowledged together in the printed program. If you know that you’ll be making a gift to Encore before the end of our fiscal year – August 31st- please consider making a pledge so that you will be listed along with your fellow donors in the Spring Concert Program. Once you make a pledge, you will have until August 31 to fulfill your pledge. We will even send you a helpful pledge reminder before the end of the fiscal year, should the payment slip your mind. Accepting pledges is a wonderful way to allow Encore to budget for the year. Please remember that 24% of our operating income is supported directly through philanthropic gifts. 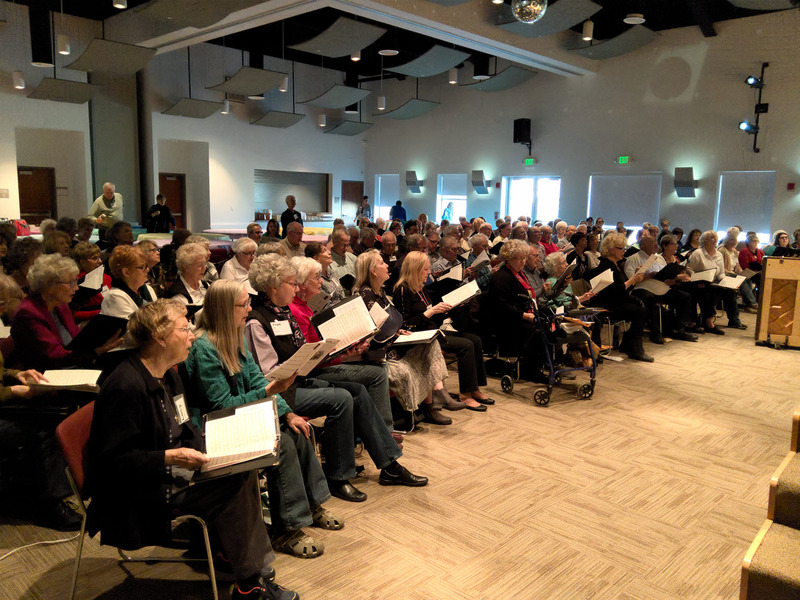 Without our wonderful donors, Encore would not be able to offer the full and excellent program that is extended to the 1333 singers we have served this year. We hope that we will have the support of 100% of our singers, which speaks volumes for Encore as we apply for grants. A gift of any size is very meaningful and helps Encore continue to offer our program to a growing number of singers. Your participation matters! If you are unsure about whether you have made a gift this fiscal please email Mary Spencer at mary.spencer@encorecreativity.org or call 301-261-5747. If you would like to be listed as a donor in the spring concert program, please consider making a gift or pledge today. Click here to make a pledge to Encore's 2017-2018 Annual Fund. Many thanks for the myriad ways you enrich Encore’s program and the lives of your fellow singers. 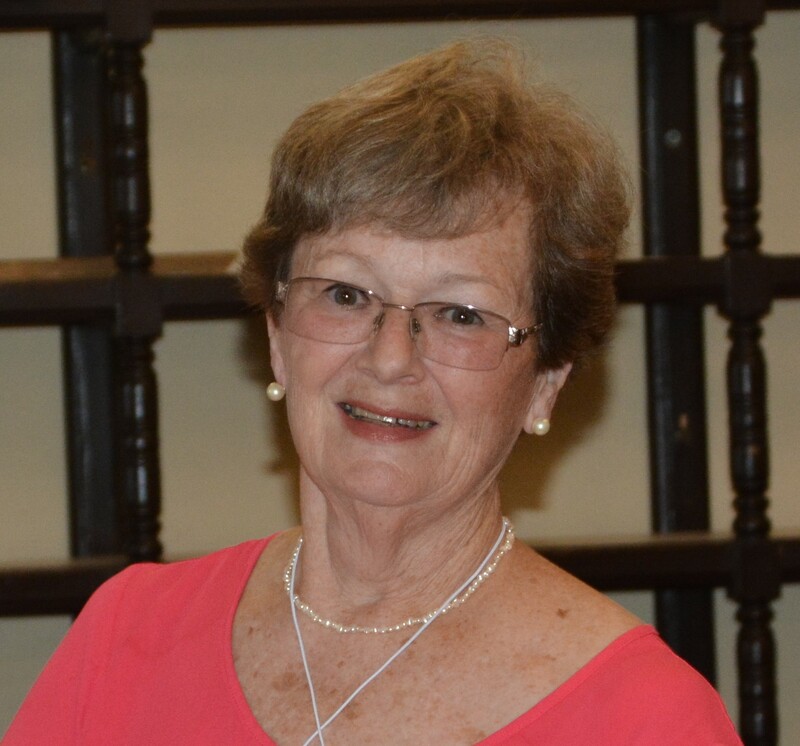 Mary Jo Klank is a long-time singer with Encore, currently singing in an Encore Chorale at the Schweinhaut Senior Center and in Glen Echo ROCKS. She has joined Encore on a variety of Encore trips and summer camps. How did you discover Encore and how long have you been an Encore singer? I’d been retired for a year or so when my sister told me about a chorus over at Schweinhaut that sang at the Kennedy Center; so I visited to see it and stayed. Seven years into retirement, I can’t imagine a life without Encore. What do you love most about singing with Encore? Things I love about Encore are the beautiful music, the fun and friendship of rehearsals, and the thrill of performance. What does your family think of your participation in Encore? My family loves the concerts. My grandsons, too, “especially Jingle Bells.” My daughter’s mother-in-law also sings. So, Encore is a family affair! Has Encore made a difference in your life? In what way? Encore gave me something I’d searched for all my life: singing. I have a Masters in Vocal Performance! But, I never really learned how to sing. The only singing I did was in my classroom for 47 years. Now I love to sing. I’ve learned so much. I practice out loud with my neighbors as an audience. Do you have a favorite song that you have performed with Encore? Why was it your favorite? One of my favorite songs to sing is “Lux Aeterna.” It’s beautiful and it feels so good to sing. 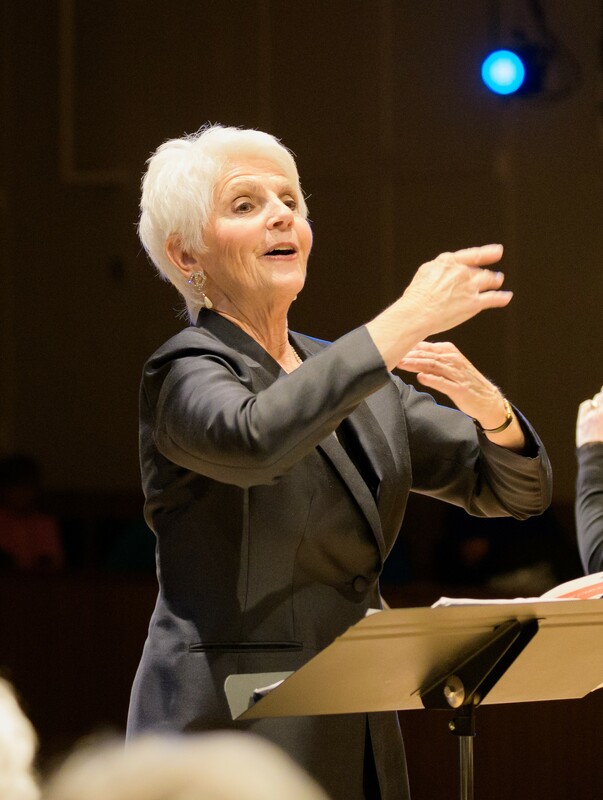 Can you tell us what you like most about your conductor? My conductors are Jeanne and Jeff. They are demanding, fun, and very human – a perfect combination. If you had a wish for Encore’s future, what would it be? My wish is that Encore will continue and flourish for a long time and that many people will find a “home” in Encore. Our two area Denver Encore Chorales are a smashing success! 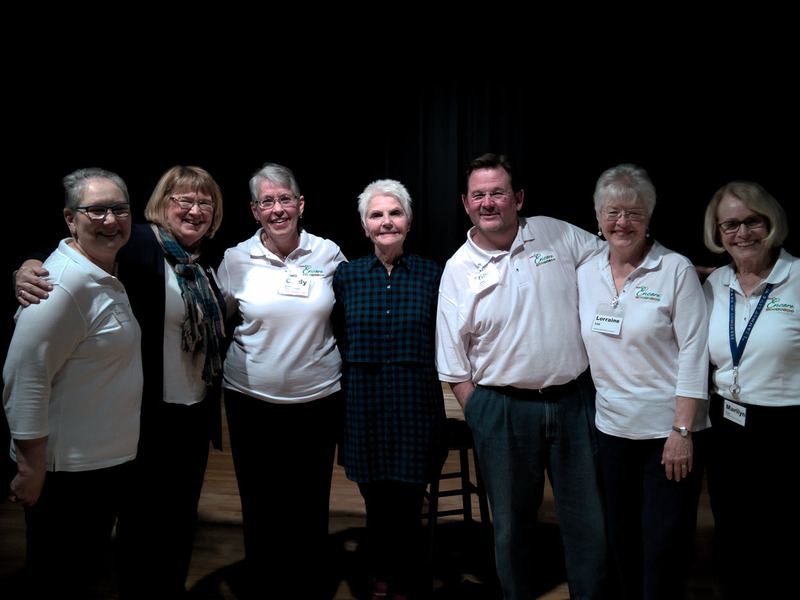 Jeanne and Larry Kelly visited the Highlands Ranch Encore Chorale and Littleton Encore Chorale in early March. “We were treated like rock stars,” says Jeanne Kelly, Encore Founder. 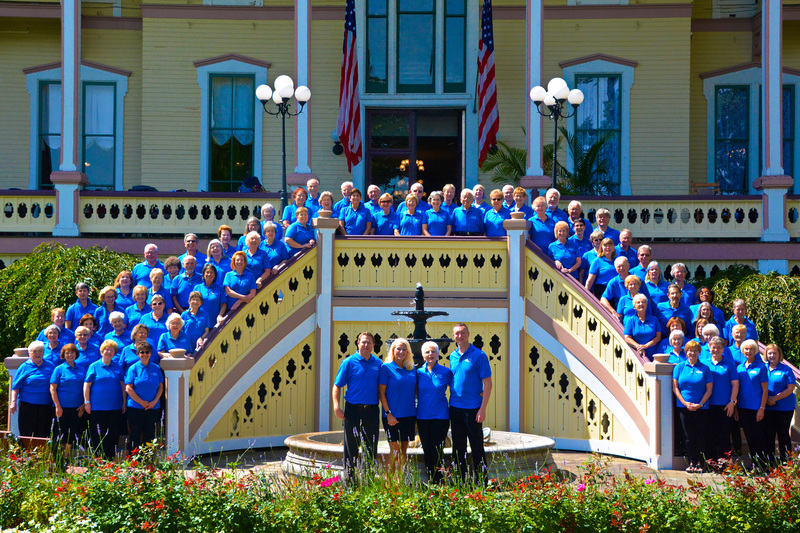 “We were so delighted to visit both chorales and meet the happy and fabulous singers. Everyone is passionate about our Encore program.” Brian Leatherman, conductor extraordinaire and Cindy Runkel, excellent pianist and Executive Director of both chorales, run a highly successful program. Encore is so proud of their work. Kelly had a chance to work with the talented singers, rehearsing Les Miserables and You Make Me Feel So Young. “What a blast,” reports Kelly. A lovely luncheon followed the Highlands Ranch rehearsal.